Harold S. Berzow | Ruskin Moscou Faltischek, P.C. Harold S. Berzow focuses his practice on debtor and creditor rights, business reorganizations, bankruptcy litigation, commercial transactions representing buyers and sellers of assets, real estate transactions and representation of secured lenders. His practice is primarily concentrated in the New York metropolitan area, where he represents clients in a wide range of businesses and industries, including the food, electrical and construction industries. He also works extensively with manufacturers, retailers, wholesalers and distributors, with a strong emphasis on the food industry and supermarket operators. In that capacity, he has handled complex transactions involving the purchase and sale of independent supermarkets, as well as matters on behalf of wholesale grocers. Serving as of counsel at Ruskin Moscou Faltischek, P.C., he is a member of the firm’s Financial Services, Banking & Bankruptcy Department. Harold has argued cases whose decisions have established important legal precedents in the bankruptcy area. He has successfully reorganized many Chapter 11 companies as debtors’ counsel, and has also represented creditor committees and bankruptcy trustees. Lecturing before trade and bar associations, he has participated as a panelist in NYS Bar Association-sponsored CLE programs and as a judge in a National Moot Court Competition on bankruptcy law sponsored by St. John’s School of Law. He also serves on the Bankruptcy Law & Litigation Report’s editorial advisory board. 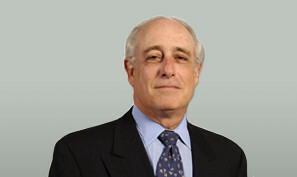 Active in the community, Harold is a member of the American Bar Association and the American Bankruptcy Institute.